James Coplan, MD, continues his discussion of the OCA report on the Newtown massacre, focusing on Adam Lanza’s mother, Nancy Lanza, and her tendency to present herself as having life-threatening illnesses in the absence of medical documentation. Why do people who are not physically ill make claims to the contrary? The first group of persons who claim non-existent illness are malingerers. Malingerers deliberately fake illness for some specific benefit (e.g. financial, avoiding military service, eliciting sympathy from others, etc.) These benefits are referred to collectively as “secondary gain.” Depending on circumstances, some forms of malingering (e.g., insurance fraud) qualify as criminal behavior. Malingerers do not believe that they are ill. They know they are intentionally faking, and if apprehended will sometimes “fess up” to their behavior. Malingerers may be unscrupulous, but their thought patterns are “normal” (i.e., without any distortion of reality). The second group who claim non-existent illness is comprised of people who genuinely believe that they are (or may become) seriously ill – the so-called “worried well”. Up to 25% of all doctors’ visits may be consumed by the “worried well.” This scenario is so common that the International Classification of Diseases has a code for it: “Person with feared complaint in whom no diagnosis was made.” Sometimes physician reassurance (buttressed by a carefully elicited history, good physical exam, and – in some instances – some judicious laboratory studies) is sufficient to allay the patient’s concerns. Often, however, the patient is not reassured. Despite all evidence to the contrary, the patient remains tenaciously wedded to his or her medical concerns. Taking Care of the Hateful PatientYears ago, a psychiatrist at Massachusetts General Hospital described various types of “hateful” patients. As the author explains, “‘Hateful patients’ are not those with whom the physician has an occasional personality clash. As defined here, they are those whom most physicians dread,” due to their “insatiable dependency.” The author goes on to describe four distinct patient types: the dependent clinger, the self-entitled demander, the manipulative help-rejecter, and the self-destructive denier. For many of these patients, illness (real or imagined) has become the focus of their lives, and the doctor has become their unwilling partner. From the patient’s perspective, “cure” is the psychological equivalent of rejection, to be avoided at all costs. Thus, the patient and the doctor are working at cross purposes: The doctor wants to get the patient better, but for emotional reasons that are unrecognized by the patient, the patient wants to stay “sick.” Working with such patients becomes an endless exercise in whack-a-mole: No matter what aspect of the patient’s condition the physician attempts to solve, some other problem inevitably crops up. Needless to say, physicians can become extremely frustrated with these patients – thus the sobriquet “hateful” patients. Illness Anxiety Disorder is characterized by “excess worry / preoccupation with having or acquiring serious illness.” Physical symptoms are mild or absent. DSM5 further breaks this group down into 2 subtypes: Care‐seeking type (many of Grove’s “hateful patients” fit into this category), and the Care‐avoidant type. More disabling is Somatic Symptom Disorder (SSD). As with Illness Anxiety Disorder, health concerns play a central role in the lives of persons with SSD. In addition, however, persons with SSD complain of one or more disabling symptoms (e.g. pain), which may or may not have an objective medical explanation. Conversion Disorder (Functional Neurological Symptoms Disorder) gets its own bullet in DSM5, but can be conceptualized as a subset of SSD: Patients in this group complain of symptoms referable to the brain and nervous system, such as weakness, paralysis, sensory loss, seizures, abnormal movements, etc., in ways that are incompatible with any recognized neurological or medical conditions. 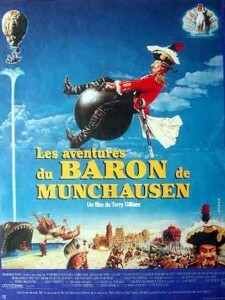 Persons with Factitious Disorder imposed on self (previously known as Munchausen Syndrome, after the tall-tales of Baron von Munchausen) fabricate medical histories suggestive of medical disease, and may produce physical signs in themselves (self-inflicted bruising, e.g. ), and/or alter lab test results (putting blood into their own urine samples, e.g.). Persons with FD are often well-versed in medical terminology, and may present with “textbook” descriptions of their symptoms (although, at other times, their symptoms may be baffling, inconsistent, or incompatible with any known disease). Persons with FD willingly seek medical testing, and often go from practitioner to practitioner, medical center to medical center, or city to city, eventually amassing a chart so voluminous that any new consultant on the case is likely to become overwhelmed, and gripped with apprehension, lest he or she may miss something that holds the key to the patient’s enigmatic illness. This, of course, leads the consultant into ordering yet another battery of tests, and the cycle repeats itself. At first glance, FD seems to resemble malingering. In both groups, the individual is actively faking illness. Unlike persons with malingering, however, persons with FD are not consciously seeking secondary gain (money, exemption from military service, sympathy). Exactly why people with FD act as they do is not known, partly because of limited opportunity to study the disorder: Individuals with FD are untruthful with care providers in the first place, may continue to deny what they are doing even if caught in the act, and commonly “bolt” from care if they sense that they are about to be exposed. FD may be associated with Personality Disorder, or may be a long-term consequence of having been the victim of abuse as a young child. Whatever the exact mechanism, FD emanates from deeply rooted psychiatric issues, rather than a consciously thought-out scheme (as in malingering). Finally, we come to Factitious Disorder imposed on others (previously known as Munchausen Syndrome by Proxy), in which the person with mental illness imposes a medical history (and, at times inflicts symptoms) on another individual. The person doing the imposing has psychiatric illness; the one on whom the factitious illness has been imposed is the victim. The constellation most frequently encountered is mother as perpetrator, and child as victim. The mother takes her child on an endless quest, nominally seeking the answer to her child’s fabricated symptoms, but fleeing if the healthcare provider begins to suspect what’s going on. What superficially appears to be a mother’s valiant quest to find help her child is actually a form of child abuse precipitated by the mother’s mental illness. More on FD here and here. So much for the facts. The question arises: Does Nancy Lanza’s behavior fit into this spectrum somewhere, and if so, how might her behavior have influenced Adam’s development?